HOW CUTE IS THIS??!! 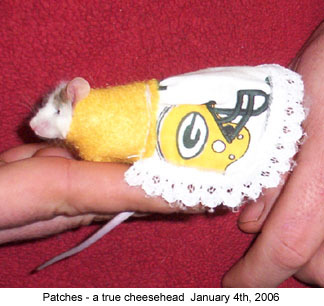 Finally a Pilgrim Hat for a Mouse. 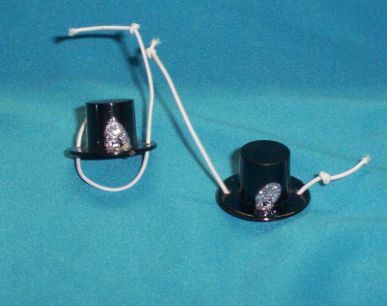 It is a little bitty black top hat with a "silver buckle". YOU WILL RECEIVE ONE OF THESE TWO HATS. PLEASE NOTE: HERE AT MARNA'S MENAGERIE WE ONLY CHARGE SHIPPING ON ONE ITEM. ALL OTHER ITEMS SHIP FOR THE SAME LOW PRICE. Your shipping will of course be based on the heaviest item you purchase.